Its been awhile since I had the time to sit down and wind down with a blog post. Life has been really fulfilling for me so far.. and I have a food review to share with you today! 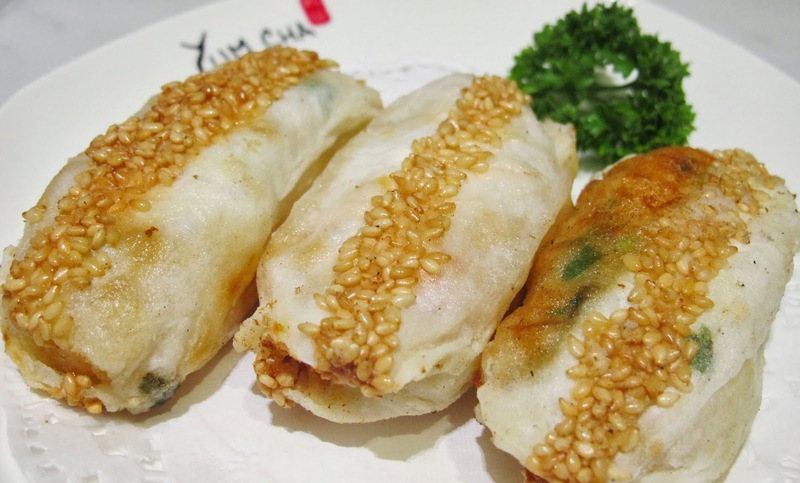 Yum Cha started their first branch in Chinatown (I remember that it was always crowded last time!) 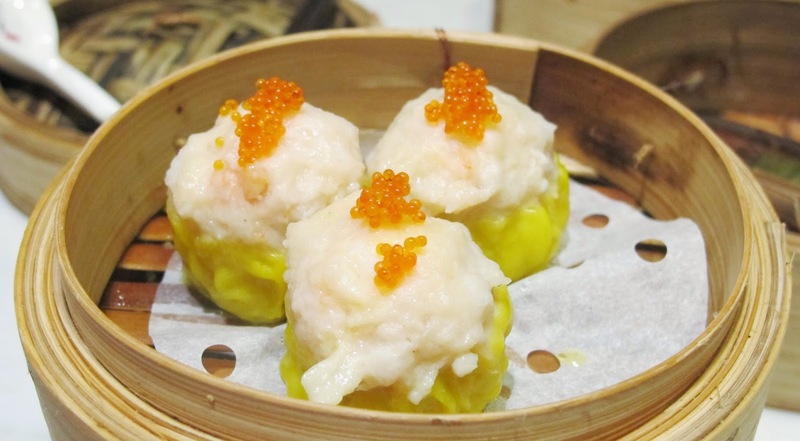 and to cater to the ever-growing dim sum lovers, they opened up a few other branches and I was very generously hosted with their best dishes at their new branch in Changi Business Park. 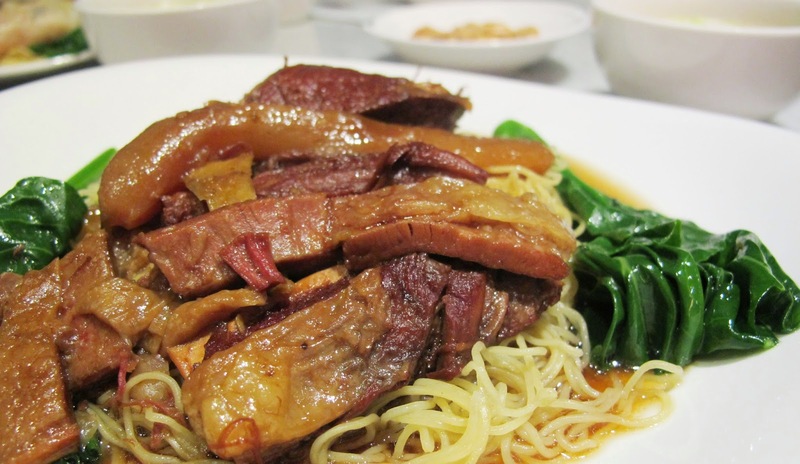 I had the Dry Beef Brisket Noodles ($7.80) because I never had beef a la Chinese cuisine. The meat was a little on the dry and streaky side, but noodles were good nonetheless! 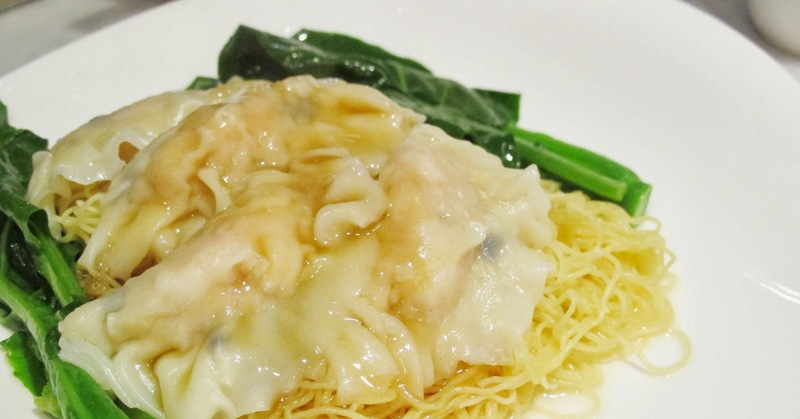 Perhaps next time I'll order the wanton kind because you can never go wrong with wanton!!! After each of us chosen a main dish, we were literally flooded with dim sum. Not complaining!! 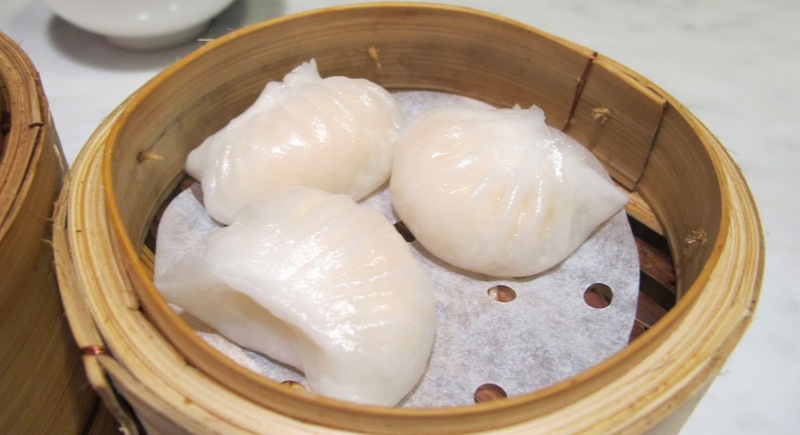 I am not a fan of prawns but I enjoyed the Yum Cha Prawn Dumpling ($4.60 for 3pcs) because the prawn filling was springy fresh. Like omg. 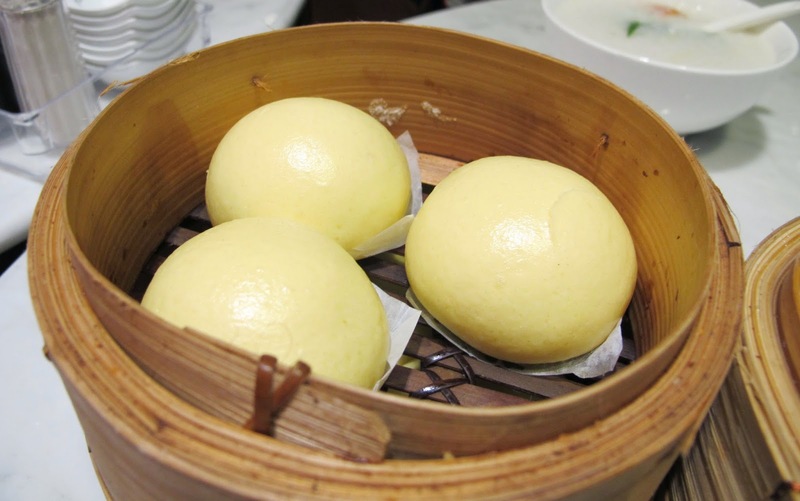 I was also looking forward to the Custard Bun ($4.50 for 3pcs) cos I heard so much good things about it yet I never had it. 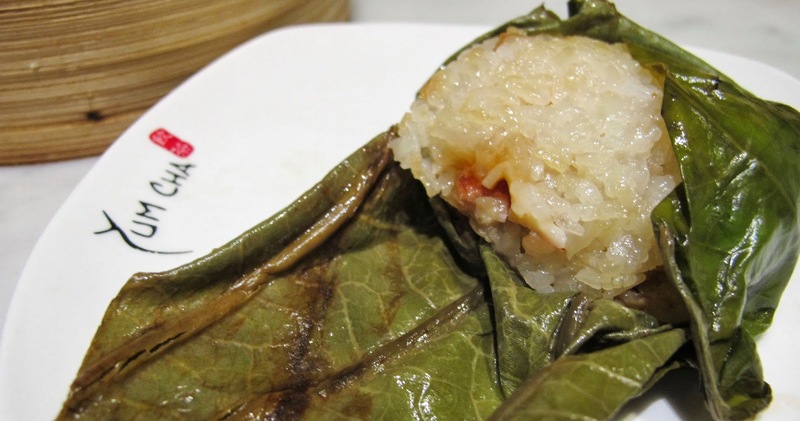 Lotus Leaf Glutinous Rice ($4.20 for 2pcs) is a must-have when I have dim sum! 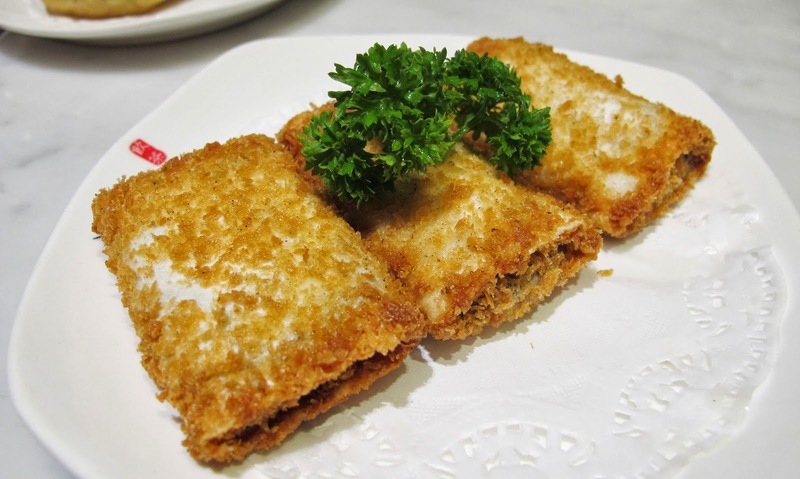 It makes a good sharing dish while this dish isn't way too oily at Yum Cha as compared to other restaurants. 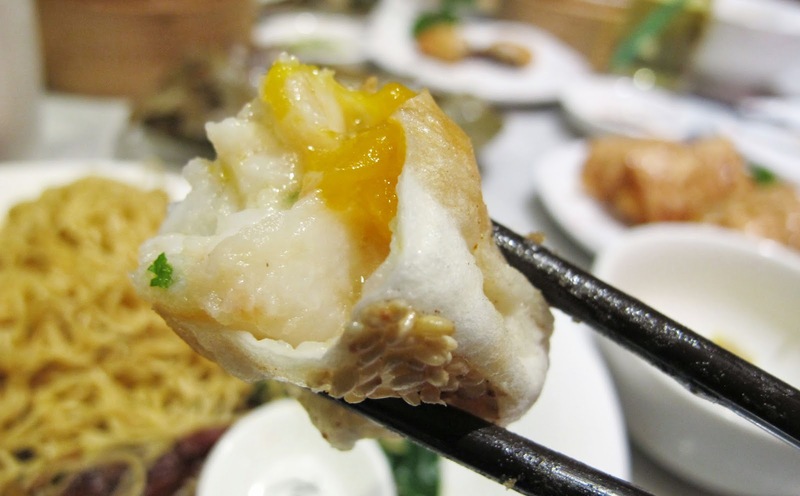 I pretty much not eat all kinds of prawns with the exception of siew mai!!! This Fish Roe Siew Mai ($3.80 for 3pcs) was really yummy with their homemade chilli sauce... which I don't have a picture of. But fret not, it is a staple on each table! 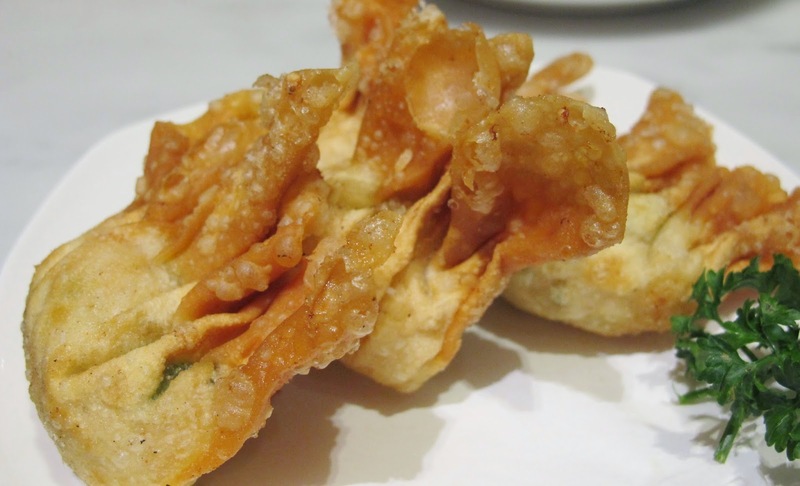 And then the Prawn Wanton Crisp ($4.00 for 3pcs) which I skipped because I'm not a fan of prawns. 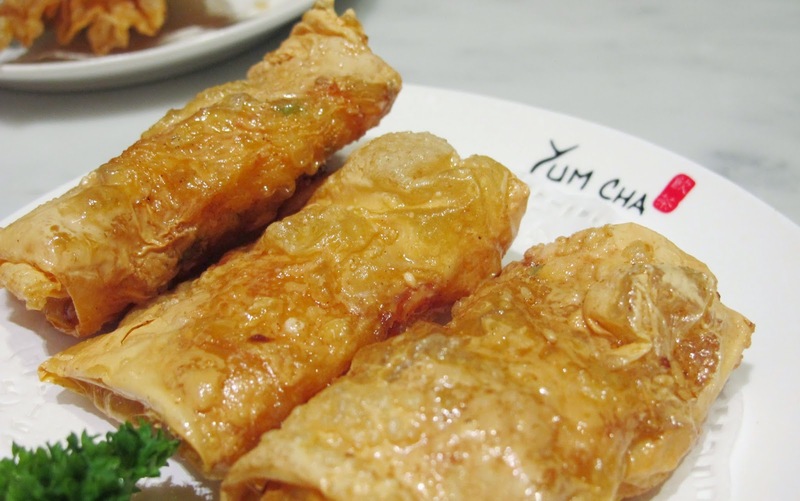 I recently had this from another restaurant and I have to say that the Shrimp Beancurd Roll ($4.00 for 3pcs) at Yum Cha is way better. 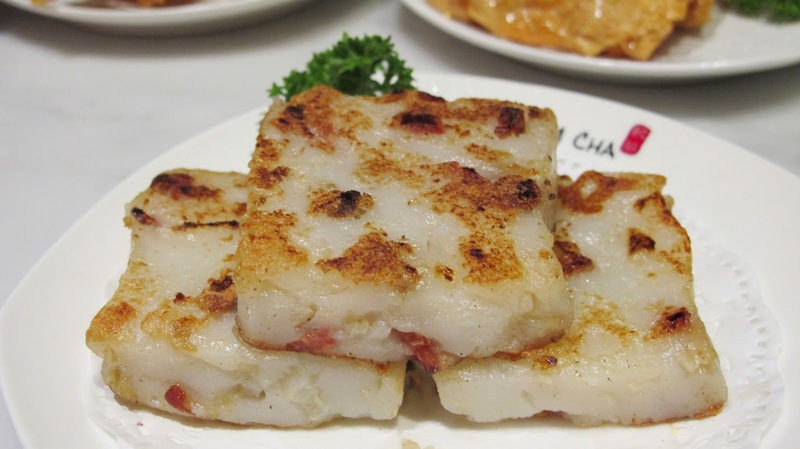 Yum Cha really makes some great prawn dishes! This was a creative dish which I loved! Prawn & Mango Fritters ($4.00 for 3pcs) was a good mix of springy prawns and tangy mango. It tastes like the kind of prawn salad you get at Chinese restaurants, except that its not chilled. Their Fried Carrot Cake ($3.80 for 3pcs) tasted just like all the other carrot cakes out there, with the exception of.. the slightly charred sides. Somehow its fragrant and crispy and not soggy like how other places do it! 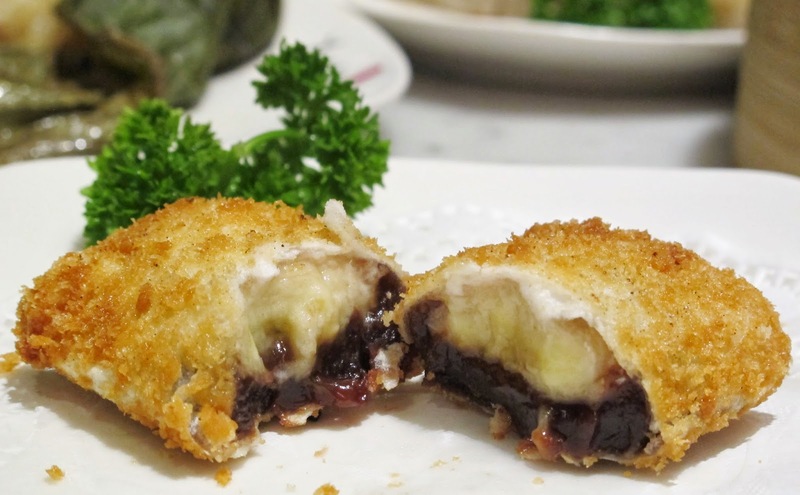 Crispy Red Bean with Banana ($3.80 for 3pcs) was William's recommendation so I had to try it! It was just the right amount of sweetness and the outside is kinda like a pie. This should be sold everywhere in Singapore!! Its like a super awesome desert! 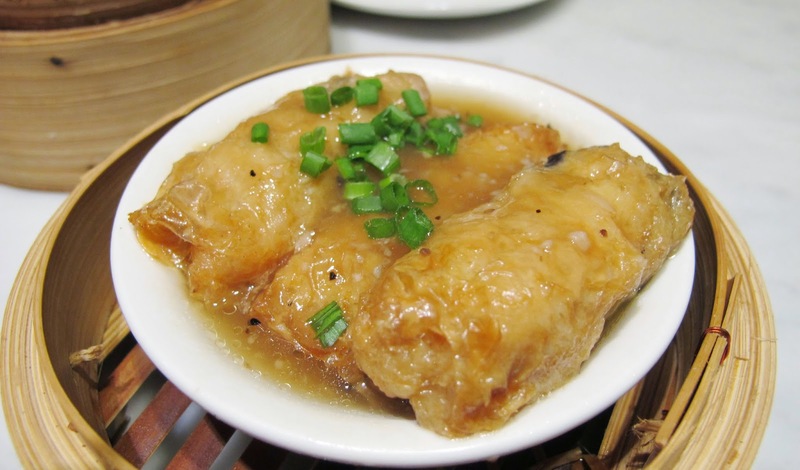 Or dim sum. Lol. Lastly, we were pleasantly surprised with this platter of roasted goodness. 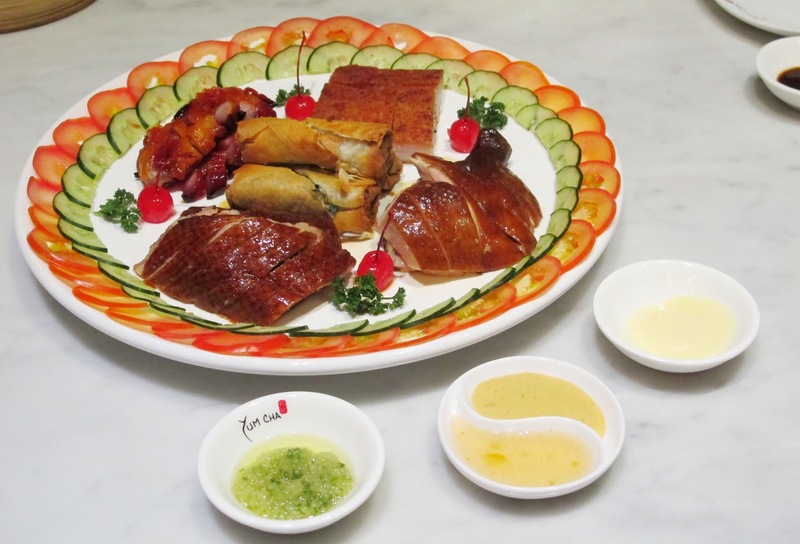 There's roasted duck, roasted pork, char siew, roasted chicken and spring rolls served with a side of 3 sauces - a sour plummish sauce, mustard (really spicy!) and a ginger sauce. I had to really talk about the ginger sauce. Its pretty much the same kind as the chicken rice stalls but it went so well with this platter! I mean, most platters I came across only had one damned honey sauce. I frankly also appreciated the idea of adorning the sides with tomato and cucumber slices. Was refreshing to have a slice after some oily food. 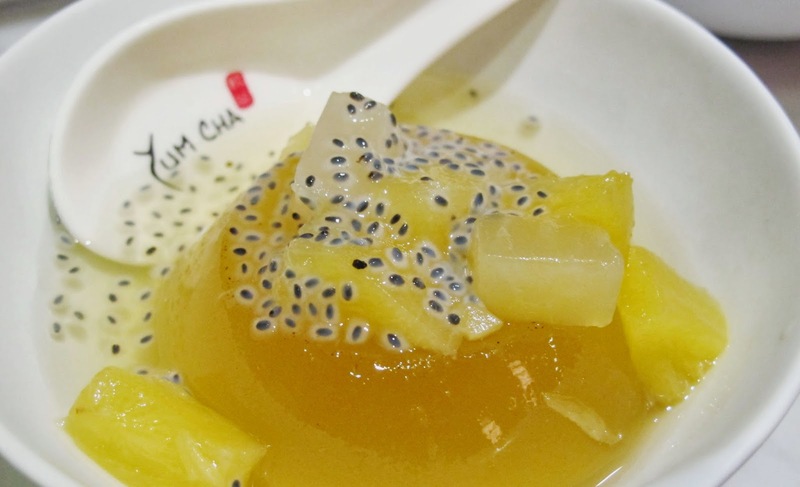 I ended my meal with the lemongrass jelly with mixed fruits ($4.00)! Interesting and fragrant combi. I picked this dish because I love the scent of lemongrass~ and it was a good decision. 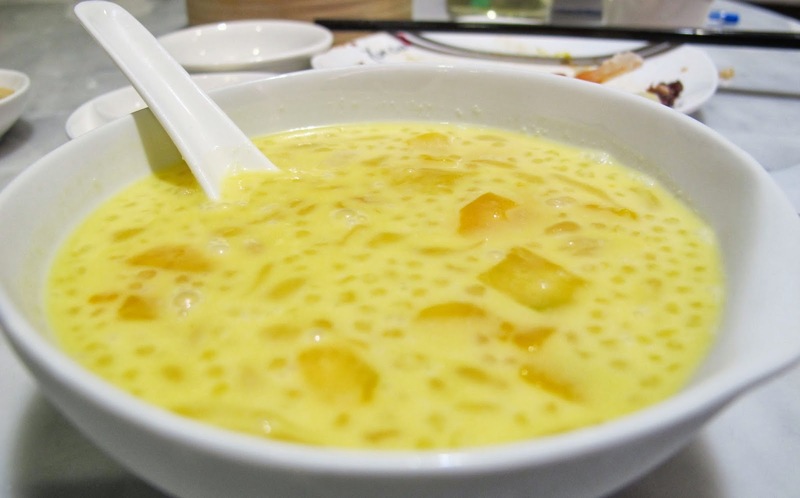 Angie had the Pomelo Sago in Mango Juice ($4.00) which was delicious too! I know, I made the bowl look really big in this picture and also it wasn't focused correctly.. I was probably in a food coma when I snapped it. This is (part of) the interior of their Changi Business Park branch! I would say that its Chinese Chic. Lol. But yeah. Now now, here comes the great deals. 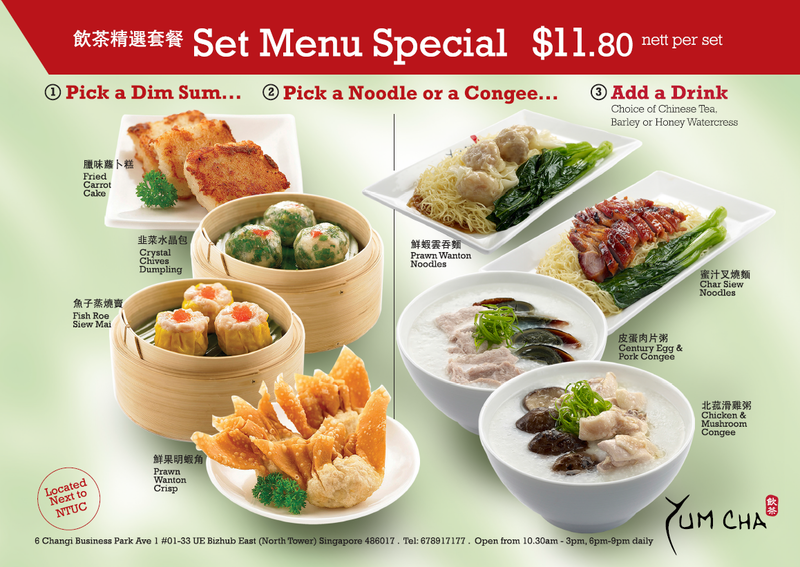 Yum Cha @ Changi is offering this Set Menu Special at a nett price! I think the price is reasonable and I would totally come for lunch here if my office is nearer. Ok and lasttttttlllyyyy (really last already) you get a membership card with just $30 spent! Which entitles you to a $20 voucher (WOW), 10% off at all their outlets and more! P/s: this is not a scheduled post. Time check: 2.15am. Goodnight!